Just because you are hunkered down by the fire doesn’t mean you have to sacrifice style. 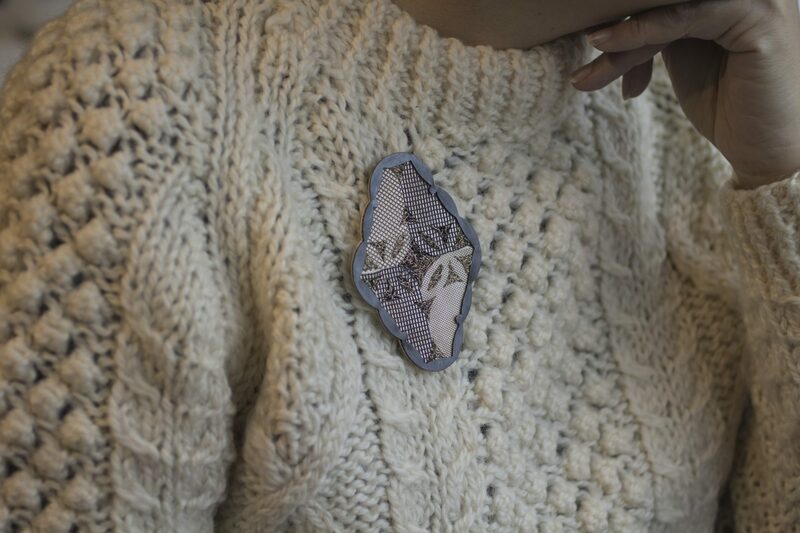 A cozy sweater is the perfect backdrop for a brooch. 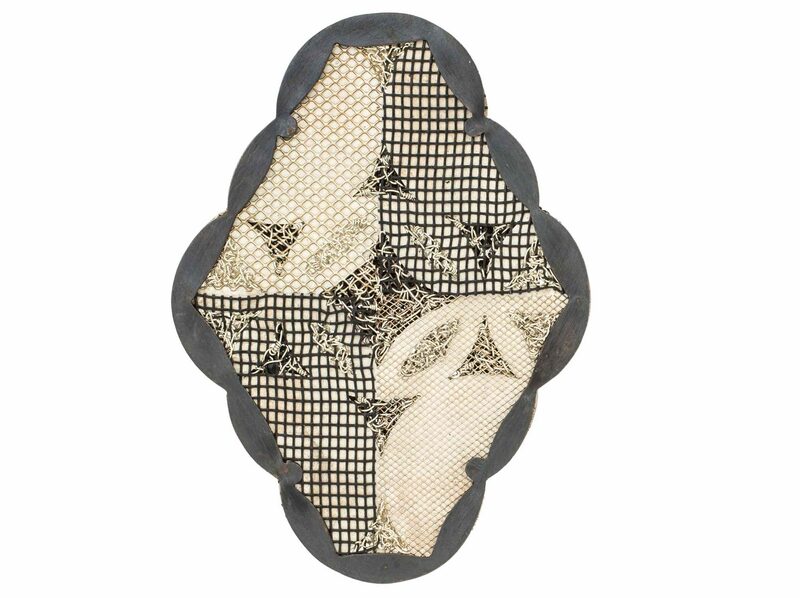 This Raïssa Bump brooch is made of sterling silver, found screen, silver-lined crystal beads and black glass beads. Raissa’s artistic practice has always included an interest in textiles and it is evident in the way she combines materials. The front of the brooch is a quilt-like pattern defined by knotted silver threads and framed by an oxidized silver scalloped edge. The back of the brooch is equally detailed, the silver threads from the front loop in and out carried by silver and black beads. A well-known characteristic of jewelry made by artists is that the back should be as aesthetic and well-made as the front, even though no-one sees it other than the wearer. Raïssa Bump is a graduate of the Rhode Island School of Design; she also studied jewelry with Giampaolo Babetto at Alchimia in Florence, Italy. * Pro tip: Pin through a piece of felt on the back of the sweater to add stability.